Although I enjoy yoga, I’m not an expert so I don’t feel comfortable providing commentary or advice on the different yoga studios in Omaha. I’ve compiled a list broken down by location of the well know studios in Omaha. 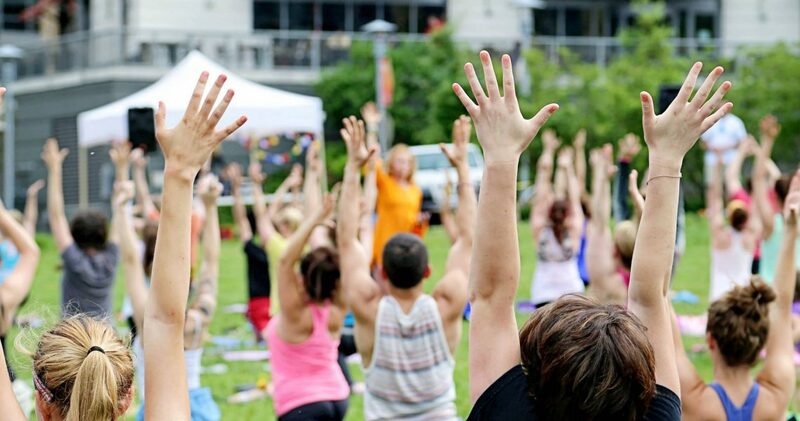 Yoga Rocks the Park (photo above) is an annual event at Midtown Crossing. It features live music, vendors, and classes. If you are a fan of Lululemon, you can find the nearest store at Village Pointe.